Playa Blanca holidays offer relaxation on sandy beaches in sheltered coves, ideal conditions for swimming and water sports and a host of recreational activities. It is very popular with families and couples wishing for a retreat from the busy world of twenty-first century living. 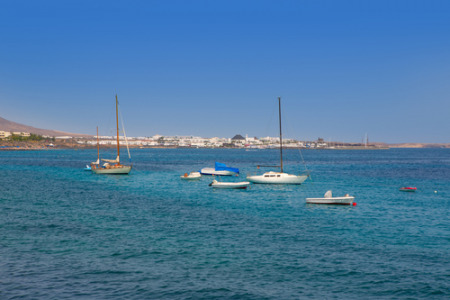 Holidays to Playa Blanca, on the south coast of Lanzarote, can be taken at any time as the summers are hot and the winters are pleasantly warm. If you are attracted by crystal seas and sandy shores, delicious food and tasty wine as well as good accommodation, look through our selection of cheap Playa Blanca holidays and the chances are you'll find one that suits both your taste and your pocket. The choice of beaches, the marina, and the excursions to the National Park of Timanfaya and the Los Verdes Caves, are all good reasons to choose a low cost Playa Blanca holiday. Search now to view our last minute Playa Blanca holidays.